Anyone who’s in a family with a stepparent, stepchild, half-sibling, or any other family members that entered in the non-traditional sense knows that blended families are no cake walk. 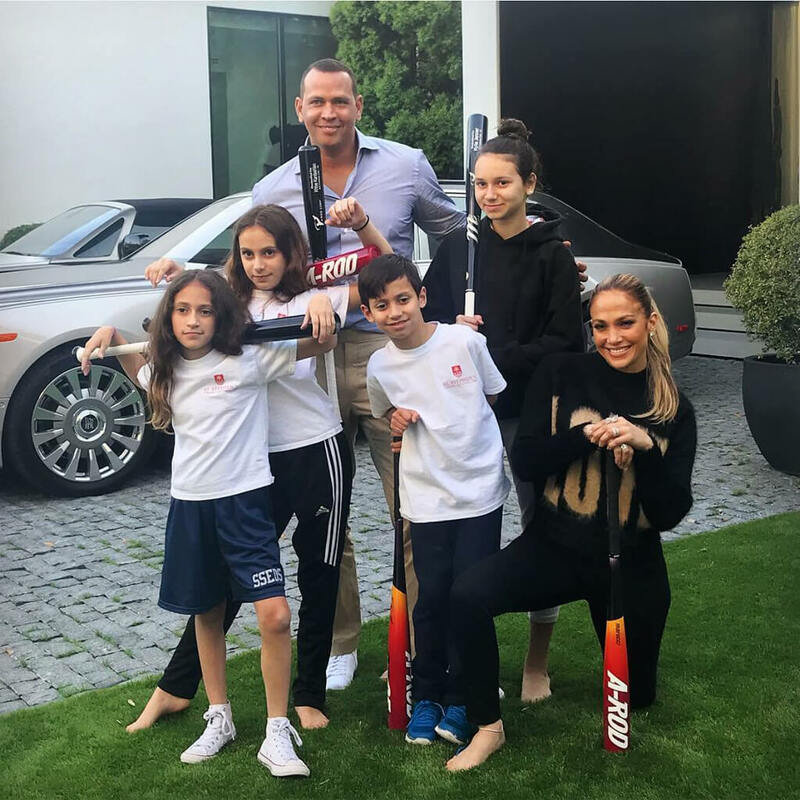 Some families are lucky enough to hit it off right away, like Alex Rodriguez’s and Jennifer Lopez’s families. Others, like Suzanne Somers and Jada Pinkett-Smith, know that it’s something to grow and learn from. At the end of the day, though, these families made it work! Lenny Kravitz is a part of his daughter’s extended family, which is something a famous comedian’s ex-wife had to accept as well. 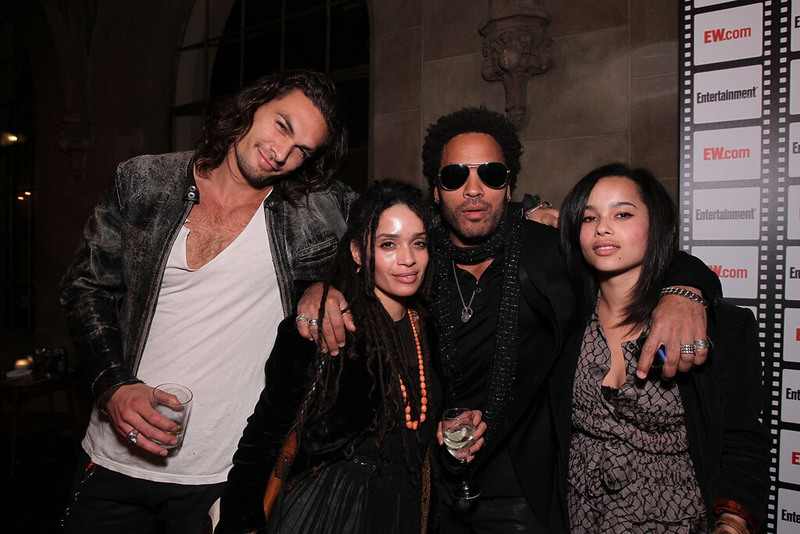 Zoë Kravitz is the daughter of Lisa Bonet and Lenny Kravitz, who divorced in 1993 around the time Zoë was five years old. Bonet and Kravitz remained close, however, even after Bonet found herself in a new relationship with Jason Momoa in 2005. Bonet and Momoa have since had two children together and only recently married in 2017. Luckily for Zoë, she is able to combine both sides of her family with ease. “When we’re all together now—[Lisa’s] man, her kids, Zoë, me—we’re all together and we’re one big happy family,” Lenny Kravitz told Oprah on Master Class. Reese Witherspoon is mother to Ava and Deacon Phillippe, which she had during her previous marriage to Ryan Phillippe. The Cruel Intentionsactors remained together for about seven years before separating and opting to co-parent their children. 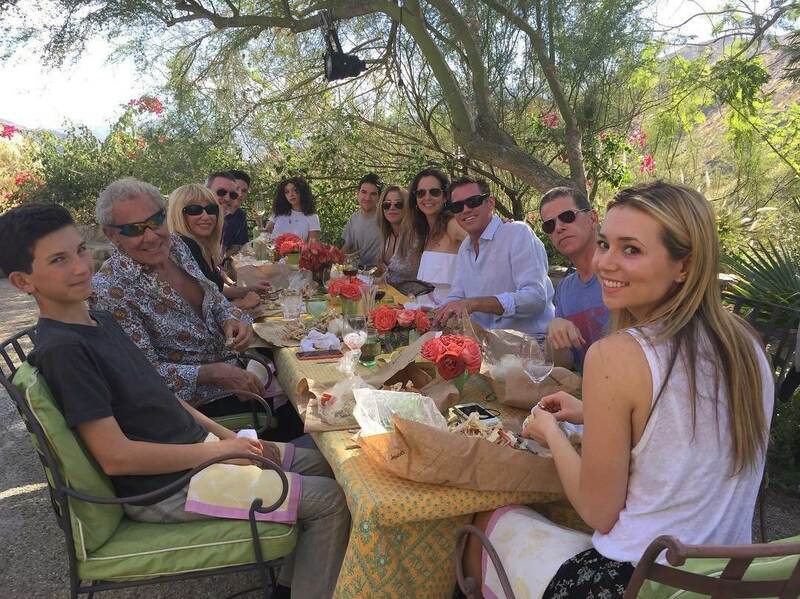 In 2010, Witherspoon began dating talent agent Jim Toth and the couple married a year later. Their son Tennessee Toth was born in 2012 and it appears that Witherspoon’s children get along swimmingly with their new stepfather and little brother. Though Reese has clearly moved on, she can still get together with her ex for the sake of their children. 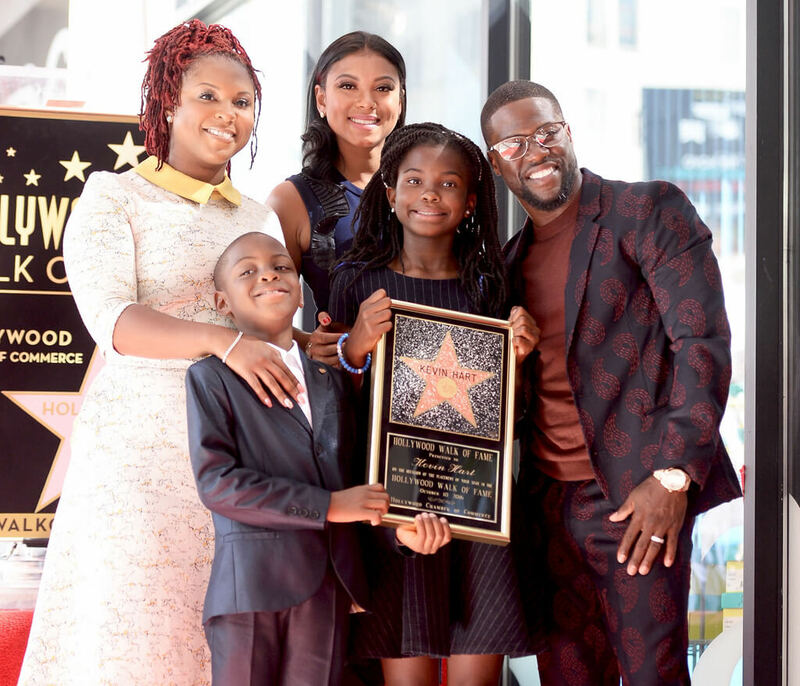 Kevin Hart has had his fair share of drama when it comes to his family life. In fact, his divorce from Torrei Hart – with whom he shares two kids – was quite public, especially since people speculated they separated due to his infidelities. Regardless, he went on to marry and have a third son with Eniko Parrish. Kevin Hart may have to co-parent with his ex-wife, but at least she’s not his manager like his “Central Intelligence” co-star! Steve Harvey has been married three times. 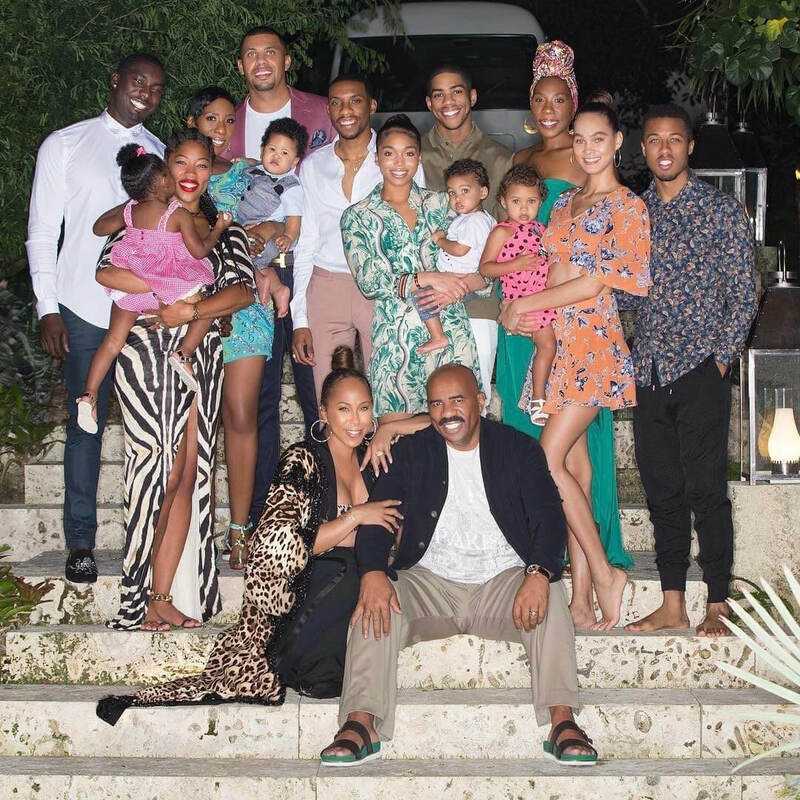 He already had four kids (three from his first and one from his second) by the time he married third wife Marjorie Harvey, who added three more kids to Harvey’s already big family. Steven Spielberg had a son, Max, from his previous marriage to Amy Irving by the time he married Kate Capshaw. Capshaw also had kids of her own already, including Jessica Capshaw and adopted son Theo, who Spielberg also adopted. Since combining their families, Spielberg and Capshaw have been together for 20 years now. Within that time, they’ve kept adding to their family. They had three biological daughters and also adopted another daughter as well, making for a total of seven children in the Spielberg family! Dwayne “The Rock” Johnson and his first wife Dany Garcia welcomed their daughter Simone in 2001, but would end up separating in 2007. But Johnson and Garcia didn’t walk away from each other completely, since Garcia signed on to manage her ex-husband’s career the following year. Coming up, this “Step by Step” star played the matriarch of a huge blended family, then found herself in one in real life! 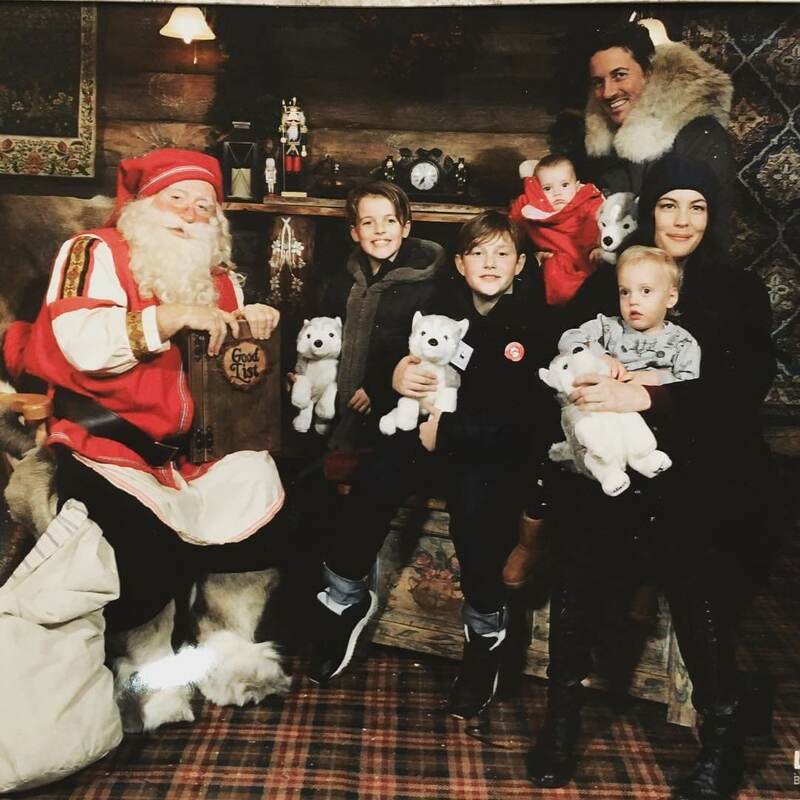 Liv Tyler is raising a blended family of her own. She already had son Milo from a previous marriage by the time she married sports agent Dave Gardner, who also has a son from a previous marriage. Tyler and Gardner welcomed two more kids shortly after tying the knot. 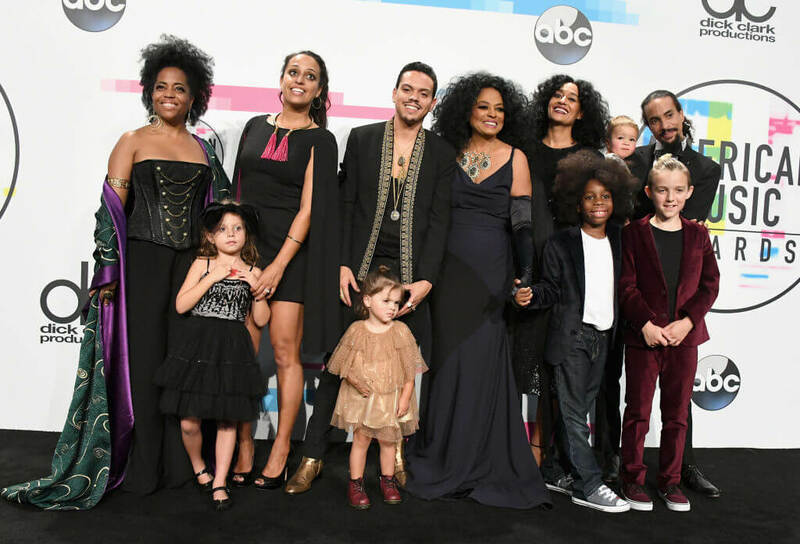 Diana Ross is at the helm of her big, blended family. In 1971, she married music executive Robert Ellis Silberstein, even though she was pregnant with her daughter Rhonda, whose biological father is Motown CEO Berry Gordy. Still, Silberstein raised Rhonda as his own, in addition to the two other kids he and Ross had, Tracee and Chudney. After Ross and Silberstein split, Ross married her second husband Arne Næss Jr., with whom she had sons Ross and Evan. Ross also gained three step-children from Næss, who she reportedly remained close to after their father died in 2004, even though she andNæss had been split up by then. Blending families isn’t always easy and Suzanne Somers knows from her Step by Stepfamily and her real-life tribe. When she married husband Alan Hamel, not everyone was happy about it — especially the kids. Somers already had a son, while Hamel had a son and two daughters. Perhaps Somers could have taken some advice from Kevin Costner, who says there’s enough love to go around coming up! By the time Terry Crews married his wife Rebecca King-Crews in 1989, she had just given birth to a daughter, Naomi. Crews adopted Naomi and raised her as his own, in addition to the four other children wife Rebecca had within the 29 years of their marriage. After Naomi, Terry and Rebecca welcomed daughters Azriel, Tera, and Wynfrey into the world. Their youngest, a son named Isaiah, was reportedly born in 2007. The Crews family’s oldest, Naomi, now has a daughter of her own named Miley. 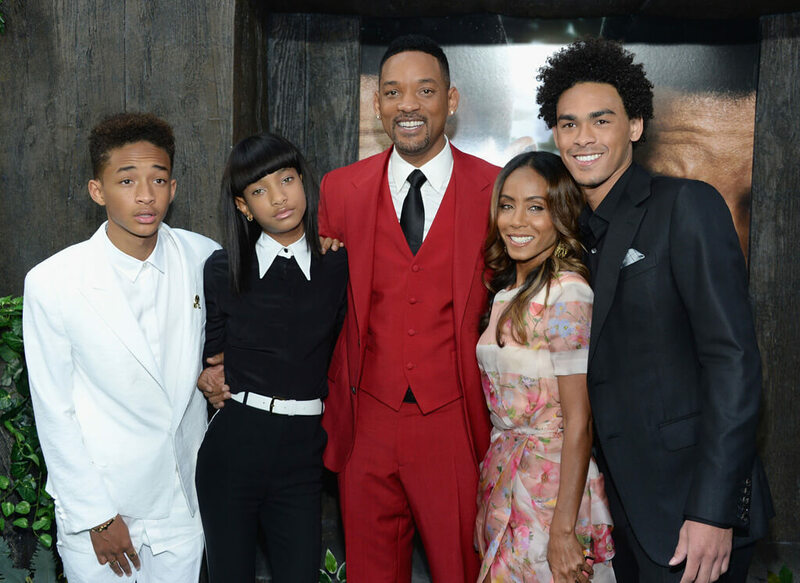 Will Smith already had his eldest son Trey from his previous marriage before he married Jada Pinkett-Smith. Throughout the years, we’ve seen the family grow together, especially since the additions of Jaden and Willow. Kevin Costner had three kids with his college sweetheart Cindy Silva – Annie, Lily, and Joe – over the course of their 16-year marriage. Then during a brief relationship to Bridget Rooney, he fathered a son named Liam. Fast forward to 2004, Costner married his current wife Christine Baumgartner, with whom he shares another three kids – Cayden, Hayes, and Grace – in addition to his eldest four. Some blended families deal with step-parents, but in one coming up, there is no such thing! 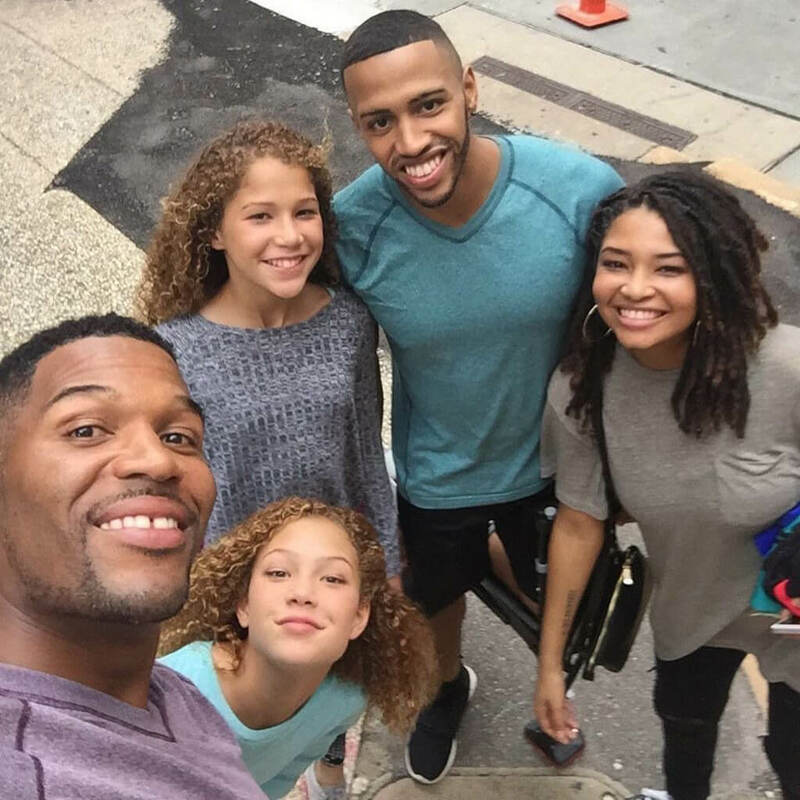 Morning show host and ex-footballer Michael Strahan has a beautiful blended family of his own, raising four kids with his two ex-wives. He shares adult children Tanita and Michael Jr. with his first wife Wanda Hutchins, and he has teenaged twins Sophie and Isabella with second wife Jean Muggli. Tom Brady and actress Bidget Moynahan were already broken up when they discovered they were going to have a son. 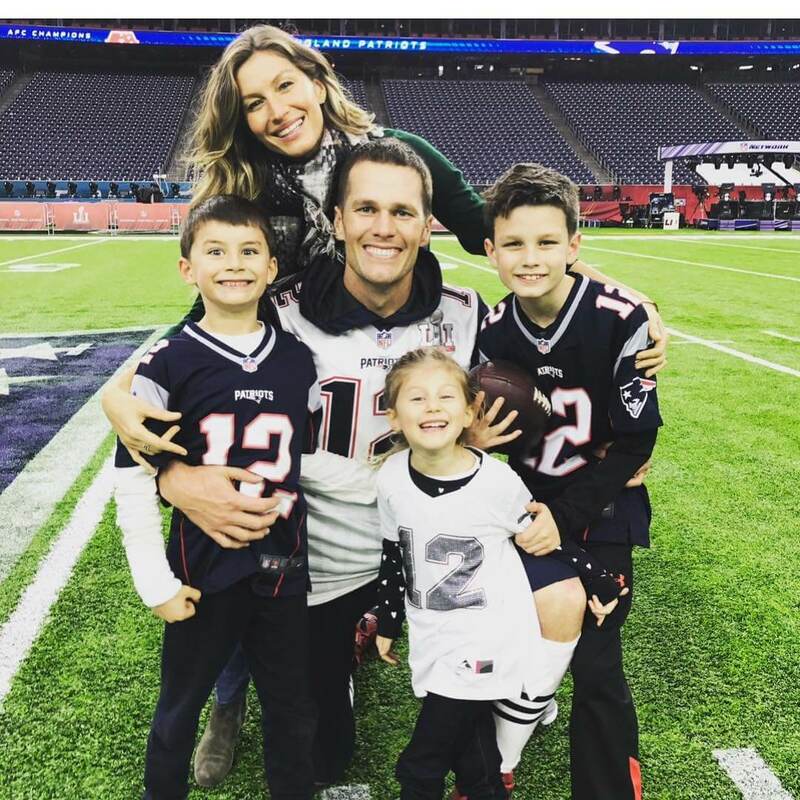 Around the same time, Brady began dating model Gisele Bündchen, who would later become his wife and the mother of his youngest son and daughter. 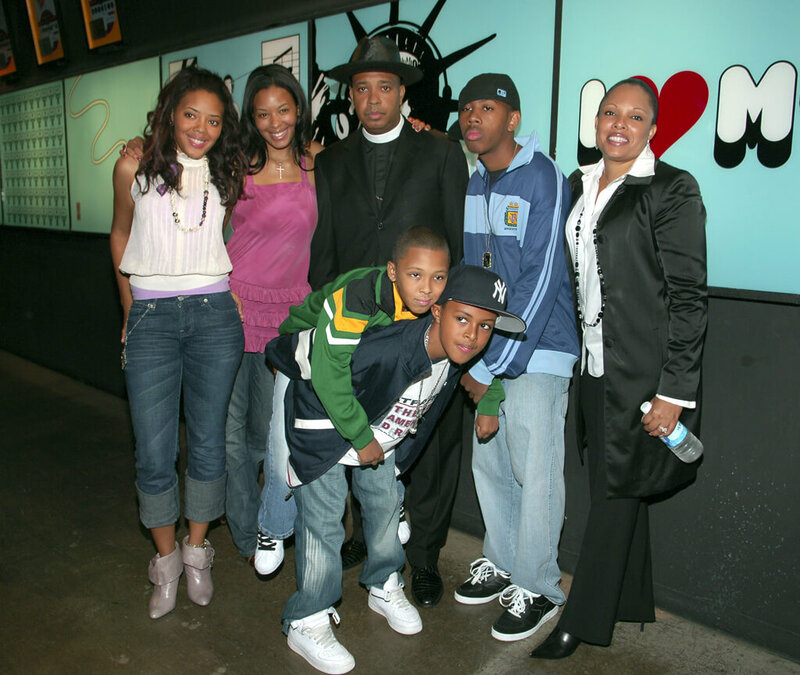 Joseph Simmons, otherwise known as Rev Run of Run-D.M.C., introduced his family to the world on MTV’s Run’s Housein 2005. 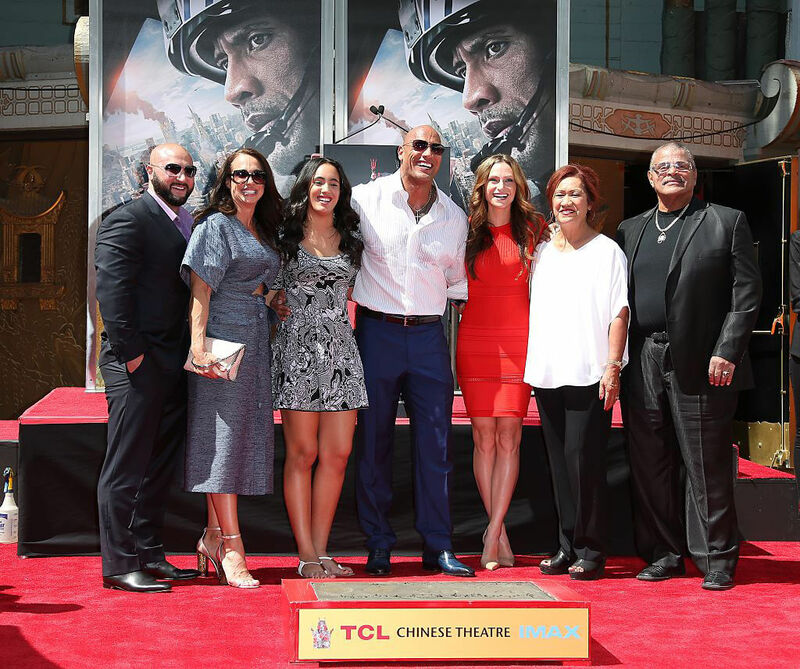 Simmons and his wife Justine have six children: Vanessa, Angela, JoJo, Diggy, Russy, and Miley, who was adopted. The three eldest – Vanessa, Angela, JoJo – are Simmons’s kids from his first marriage to Valerie Vaughn, who is still considered part of the family. “I just believe the reason I am the woman I am today has a lot to do with my mom and Justine. My stepmother never treated us like we weren’t her children, so it’s hard for us to even use the phrase ‘stepmom,'” Angela tells Ebonymagazine. 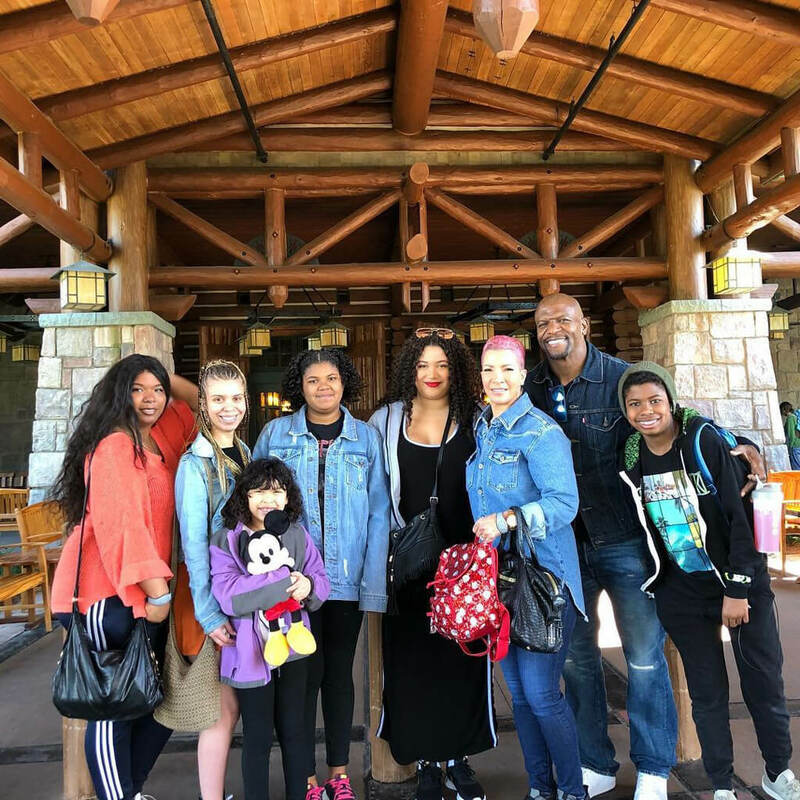 Rev Run’s brother has a blended family too, as you will see coming up! Marie Osmond was only married to first husband Stephen Craig for three years before they got divorced in 1985. Within that time, Osmond gave birth to her eldest son Stephen. After her first divorce, Osmond subsequently married Brian Blosil, with whom she had two kids Rachael and Matthew. At this point, it may seem like we know all we need to know about the Royal Family, but there are some details that are often overlooked. 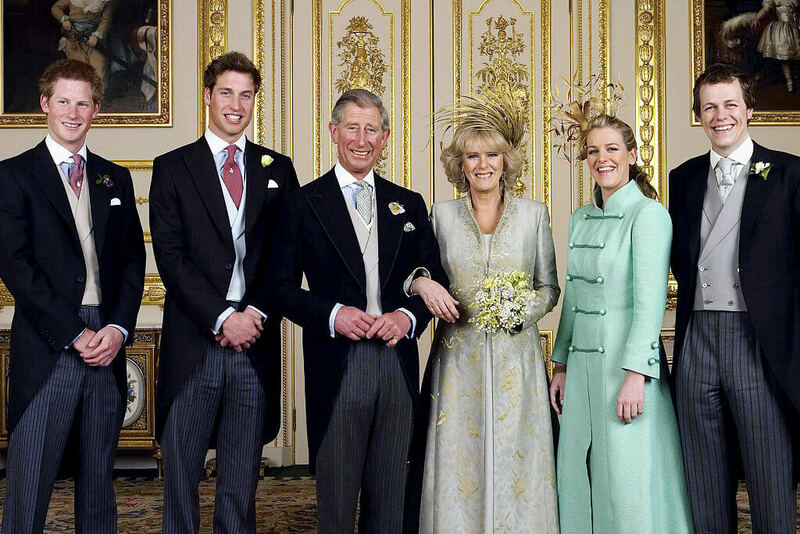 For example, did you know that Prince Harry and Prince William have stepsiblings? The most prominent unit of the Royal Family is decidedly modern in contrast to generations steeped in tradition. The princes’ father, Prince Charles, married Camilla Parker-Bowles in 2005. Regardless of the drama surrounding that union, the two have successfully brought their families together. Like her husband, Parker-Bowles has two adult children from a previous marriage, Tom Parker-Bowles and Laura Lopes. Kimora Lee Simmons was married to entrepreneur Russell Simmons from 1998 to 2009. Within that time, they had daughters Ming Lee and Aoki Lee, who we watched grow up on reality television. Kimora and Russell divorced but remained close, with Kimora even keeping the last name Simmons since it was a part of her brand. She’s since dated actor Djimon Hounsou and is now married to banker Tim Leissner, having had a son with both of them. Kimora even made her ex-husband their godfather. 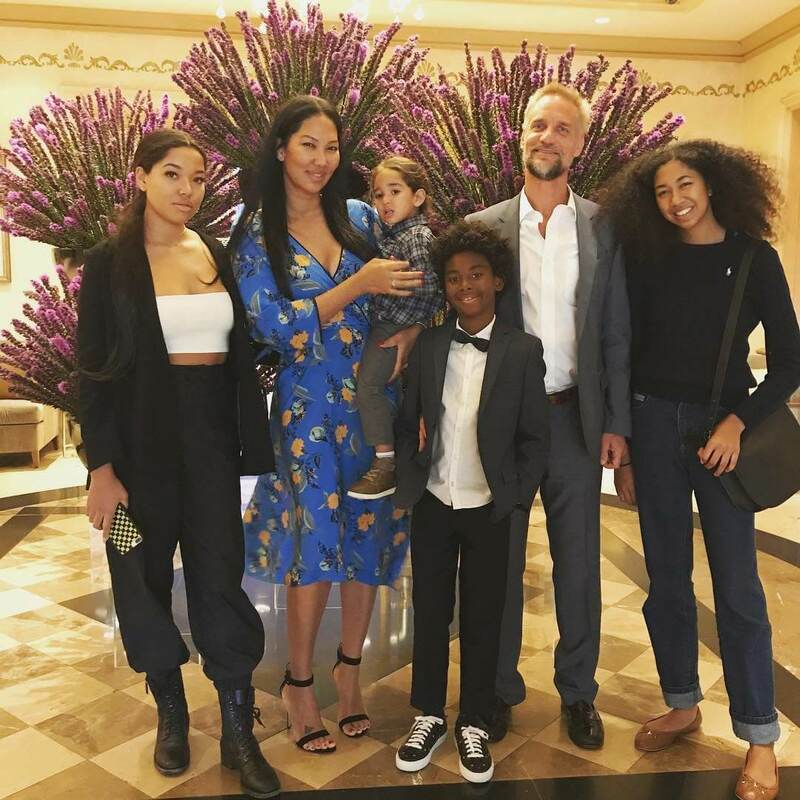 Russell Simmons is proud of his extended family and even shouts out to Kimora’s other baby daddies on Instagram from time to time! When Are A-Rod And J.Lo Going To Make Their Blended Family Official? Jennifer Lopez and Alex Rodriguez have been dating since February 2017 and although there are no hints of wedding bells in the near future (so far), they’ve become so close that they might as well be married. After all, they wasted no time getting their kids acquainted with one another. From his first marriage, A-Rod has two daughters, Natasha and Ella. J.Lo has twins Max and Emme from her previous marriage to Marc Anthony. 2018’s hottest power couple constantly go on family vacations and it seems that the kids get along just fine. You can’t talk about blended families without mentioning one of the most infamous of all these days: the Kardashian-Jenner clan. This polarizing family got together before they were famous when Kris Jenner married Olympian Bruce Jenner. Mama Kris had Kourtney, Kim, Robert Jr., and Khloé with first husband, Robert Kardashian. Bruce – who is now known as Caitlyn – already had Burt, Casey, Brandon, and Brody from two previous marriages. After they got together, they welcomed Kylie and Kendall into the mix. 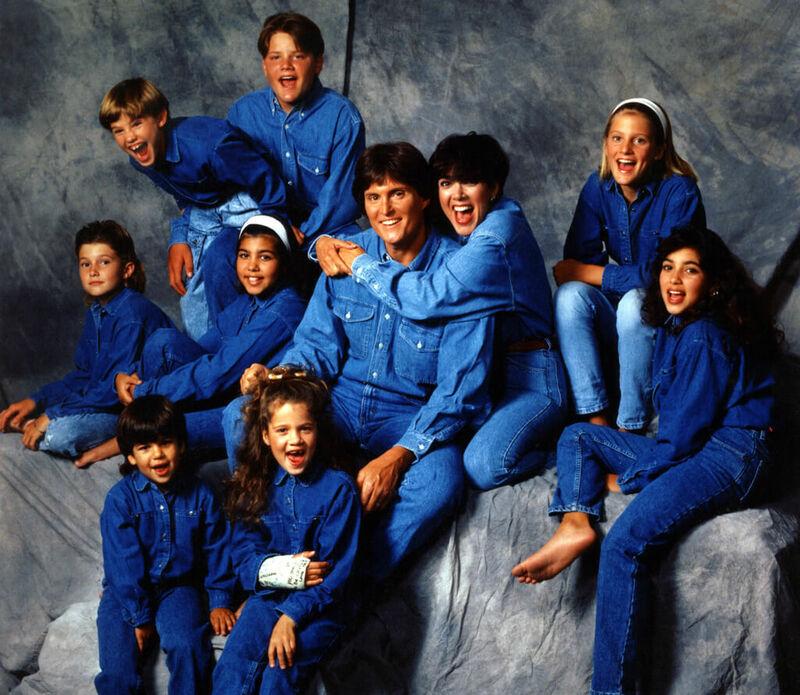 Though not together like they once were, the Kardashian-Jenner’s have always claimed that their huge blended family is one of the best things about their lives.